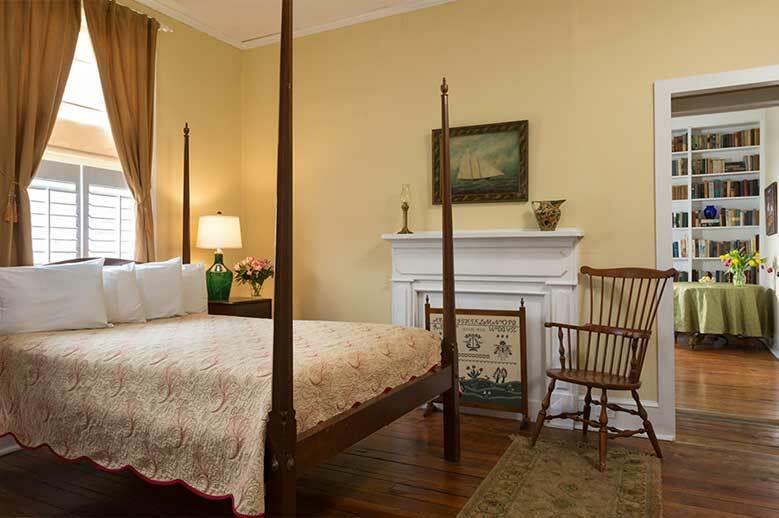 This spacious two room suite located at the Tillie Bond Cottage, was the home of Martha Edwards, the Inn’s first resident when converted to a bed and breakfast in 1982. 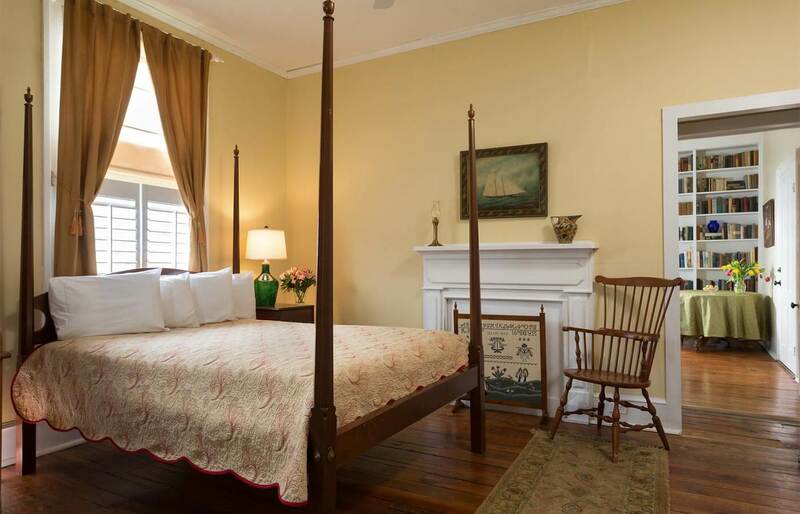 The soothing cream walls with soft accents feature a hand crafted four poster queen bed, hand pressed linens and a cotton matelassé coverlet and pillows. Large private bath with shower has a washer/dryer, premium towels and robes. 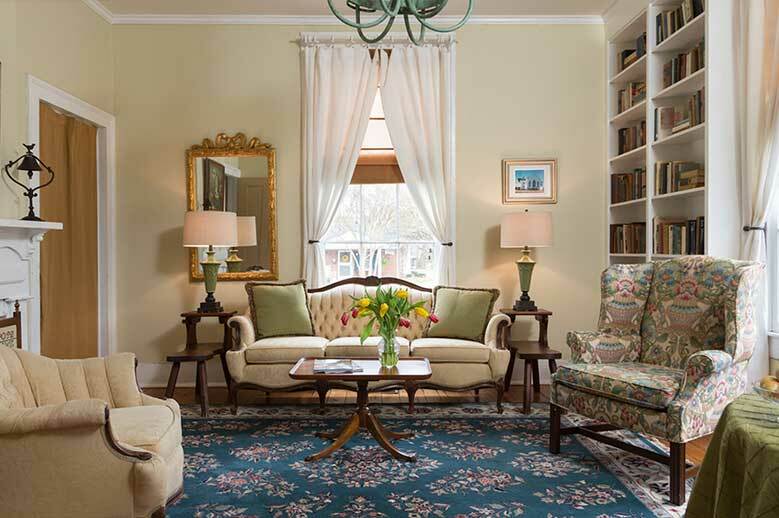 The sitting room has a sofa and wing chairs, table and chairs for dining. 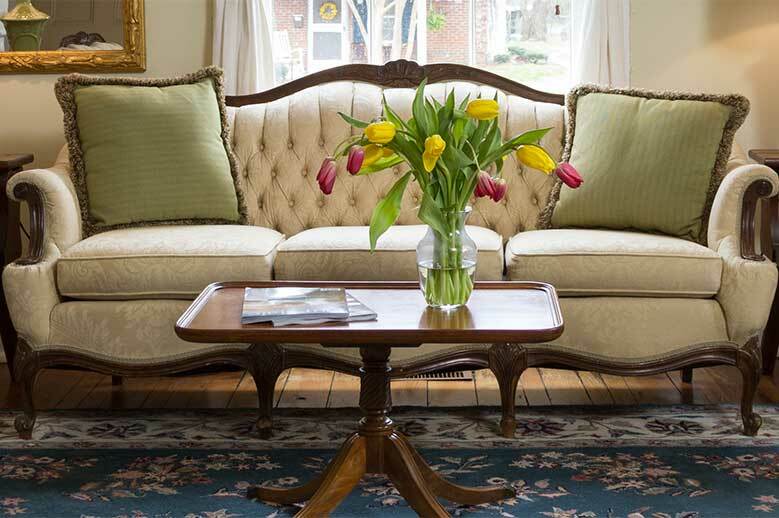 Perfect for longer stays during designated months. 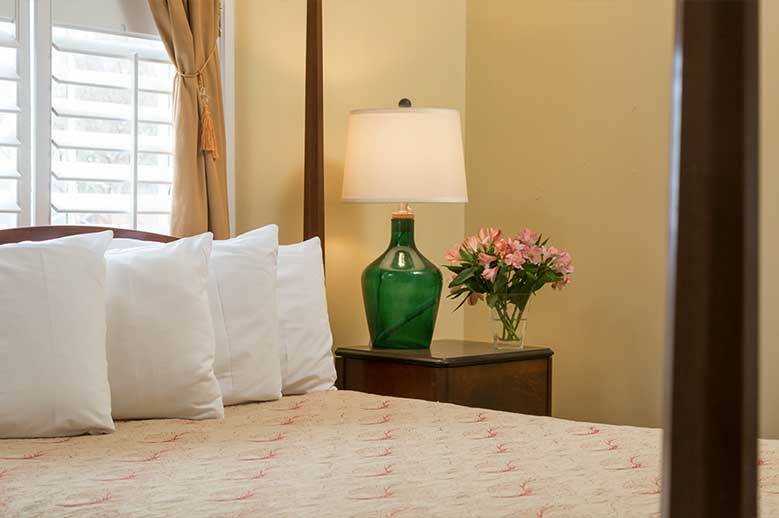 A romantic North Carolina vacation awaits in our #1 rated boutique restaurant and premium rated hotel. 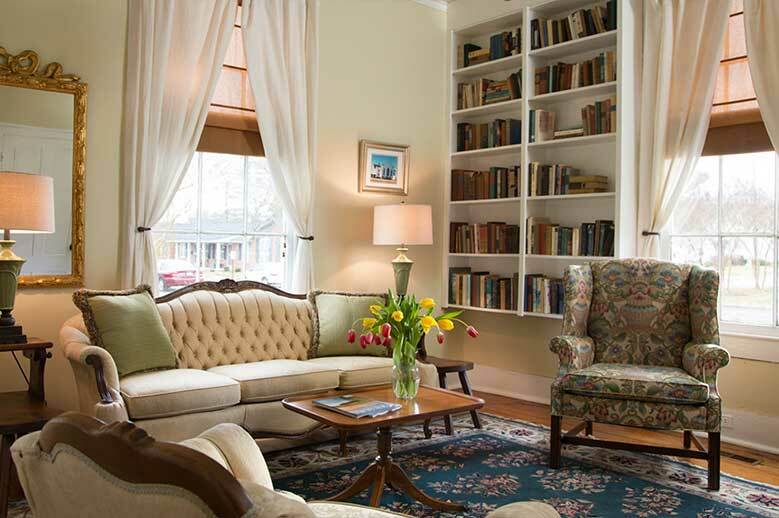 May be booked with Suite 22 for a great North Carolina vacation rental.